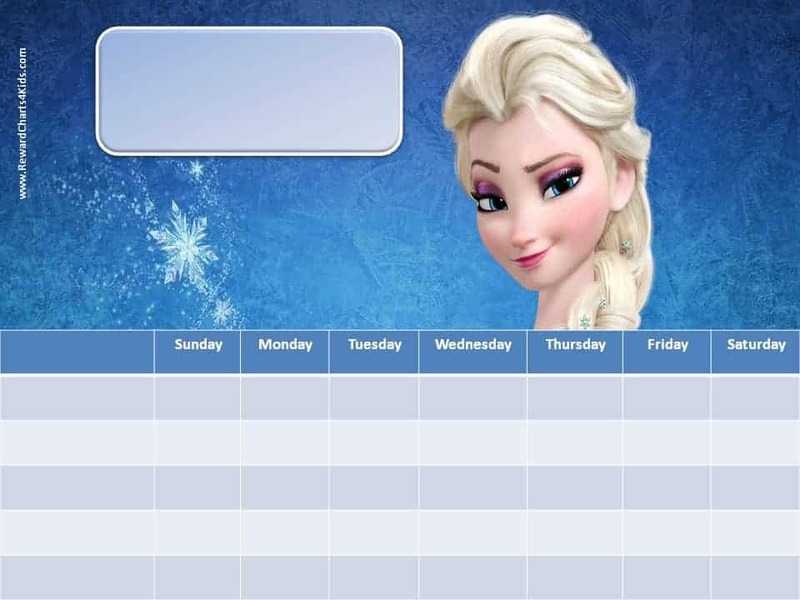 Most of the following Frozen behavior charts can be customized with your child’s name, photo, weekly goals or prize for completing the sticker chart. Either print the charts as is or personalize them before your print. 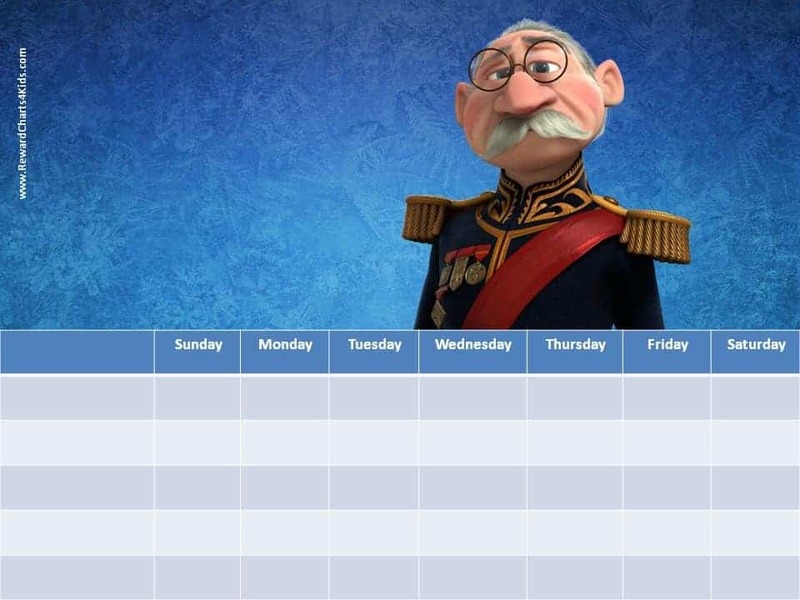 The following free printable behaviour charts were made for our visitors from the UK who prefer their chart to start on a Monday. 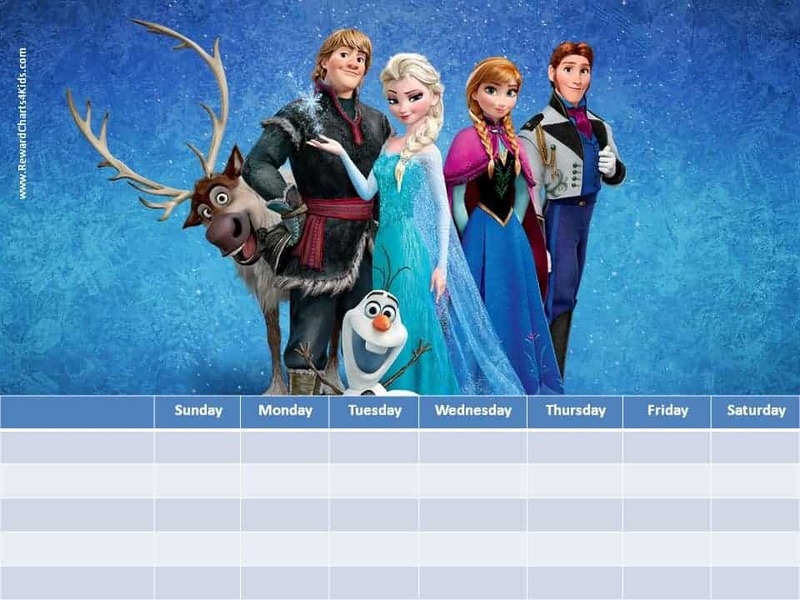 Please note that on most of the customizable Frozen reward charts you can change the days of the week so most of the above charts can be changed so that the week starts on Monday. 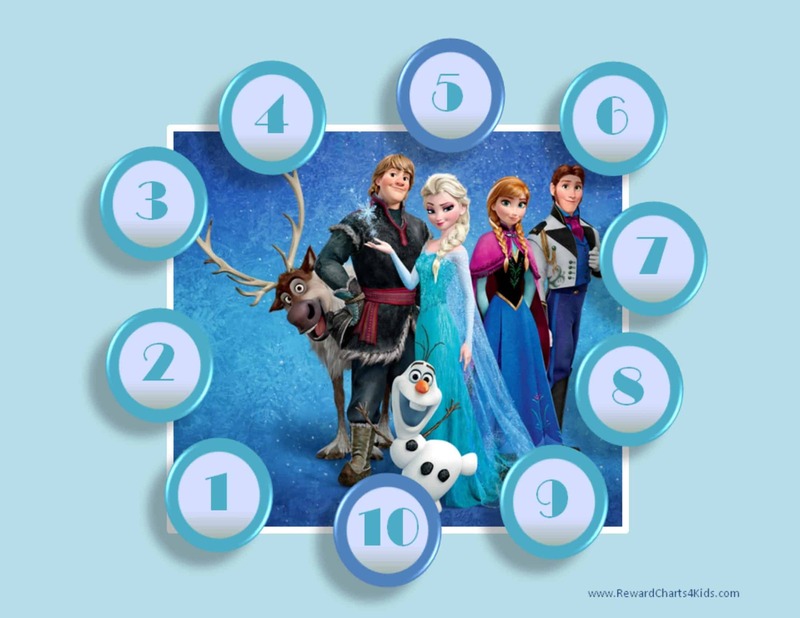 These behavior charts will help remind you to praise your child for positive behavior and effort. 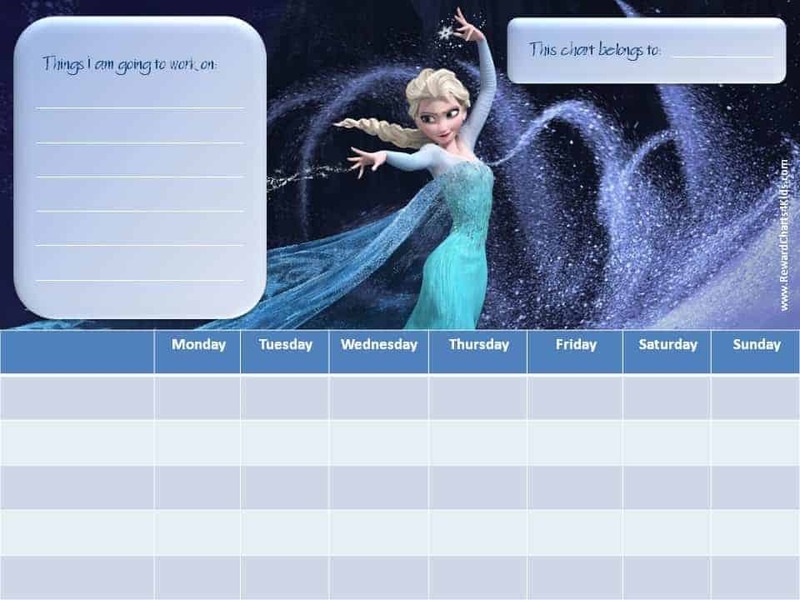 Most of the behavior charts on this page have space to list the goals that your child is trying to achieve. Set goals that are realistic and attainable. If you expect too big a change too quickly you could overwhelm your child and actually bring on more negative behavior. 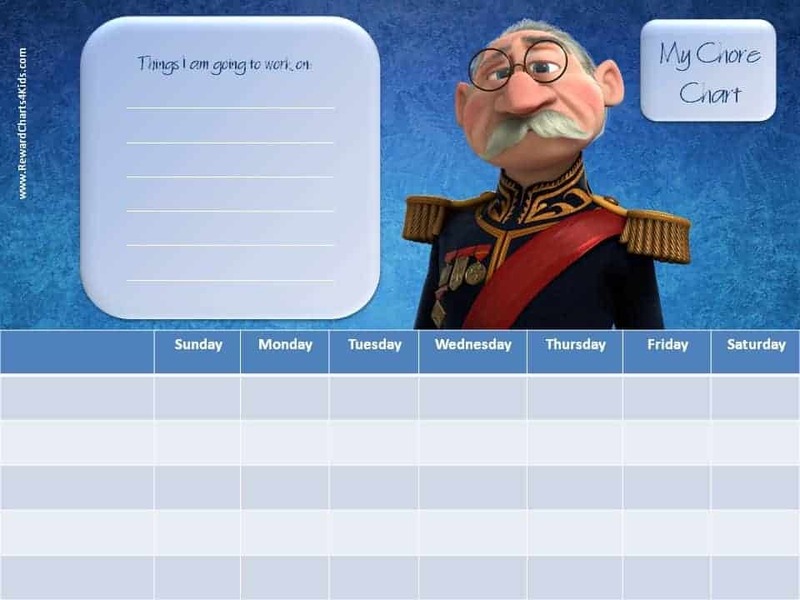 Each time you start a new behavior chart set a few goals that your child can achieve with a reasonable degree of effort. Let your child confront a few challenges at a time. 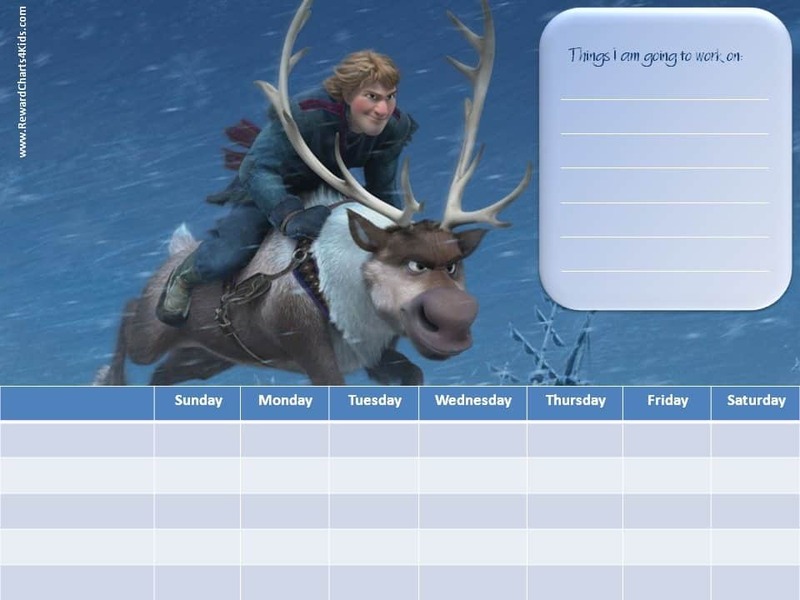 Once he completes the sticker chart you can print a new one with new goals. 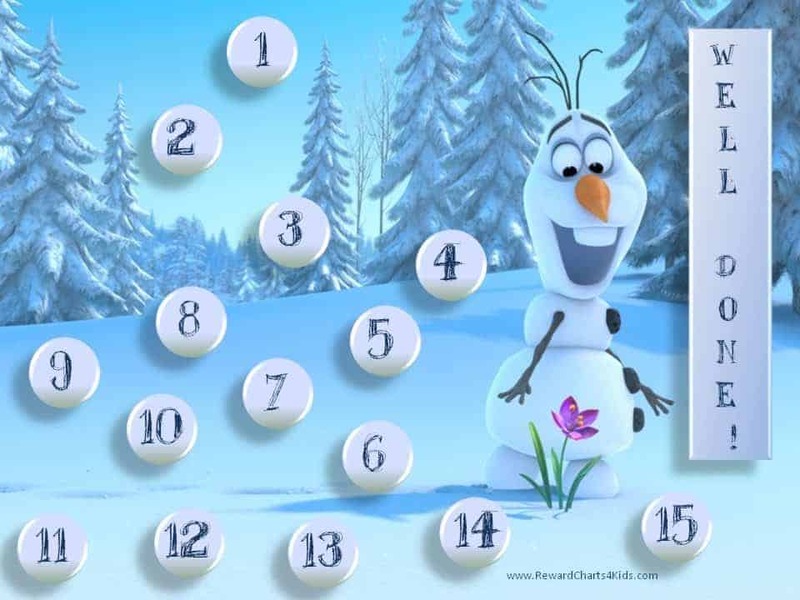 It can either be another Frozen reward chart or any other reward chart on this site. Eventually, the ultimate goal will be achieved and you will see improve in all aspects of behavior. 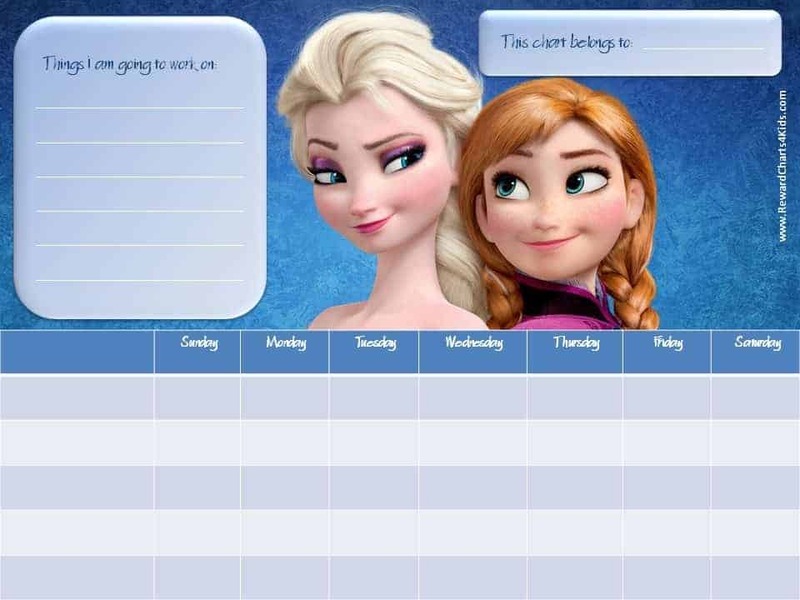 These charts were requested by Heather who asked us to make a behavior chart with a Frozen theme for her daughter. Hope you find them useful too! 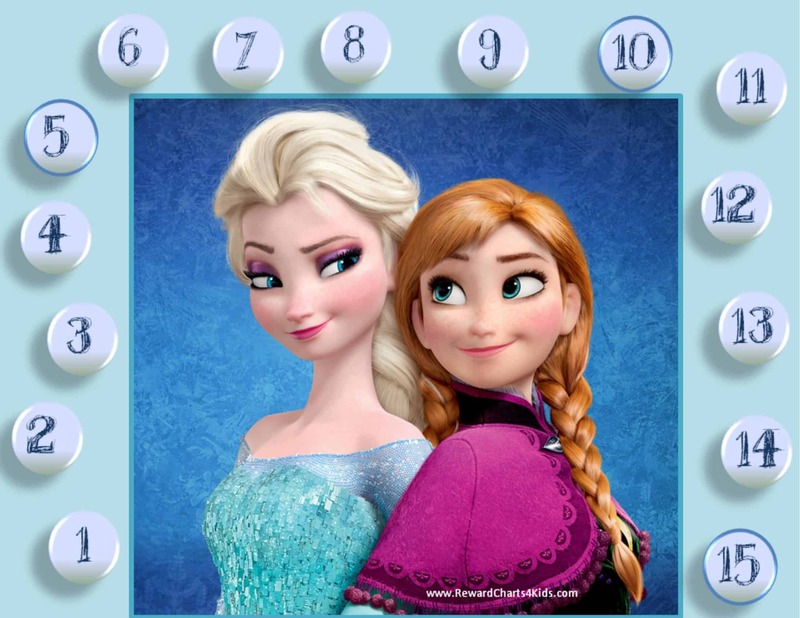 If you had any free time, I would LOVE one of the 15 steps with Anna & Elsa with highlights every 5! I hope it’s not too much to ask! These are amazing !!!!! thanks so much – I will be recommending these to all my friends – great idea, and really well layed out and setup. Hi do I get a 15 step chart? 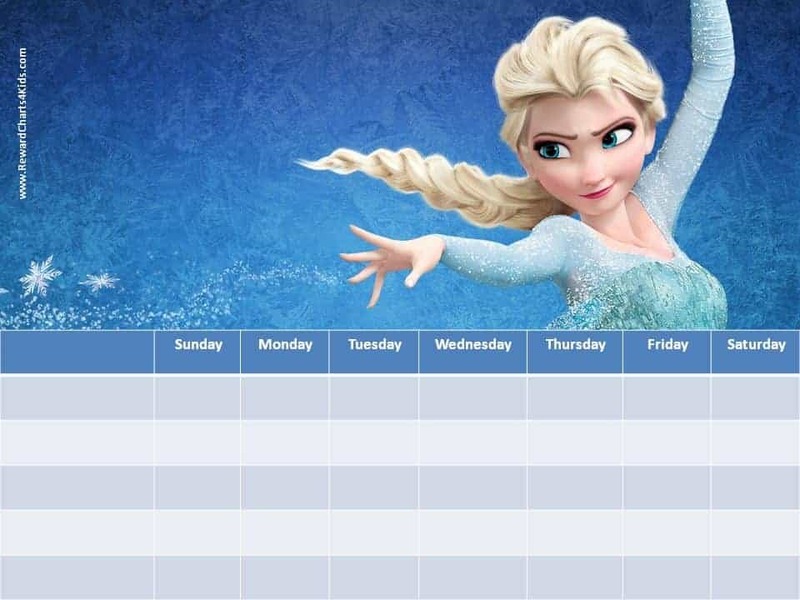 Leanne, there is a 15 step chart on this page. I’ll try and add another one soon. I’m so glad about the charts. I’m definately going to use this for my girl Tatjana, as she is showing signs of ignoring my instructions and having to forget to do this or that. Her toys are in every room and she only wants to play but never wants to pick-up. This will be the first time using this method, but I think she will like this as this is a new method of motivation. Wow, great for potty training. Thank you!